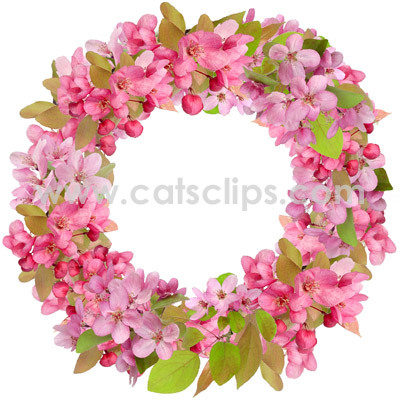 A ring of pink crabapple flowers with transparent center for framing photos or text. PNG with transparent center and white background. 300 dpi.